Funk at it's funkiest, this Prince camp alumni dished up the grease on this release. St Paul was in Purple Rain, in the group The Time, and was the lead singer in Prince's group The Family. There are many talented artists in the world of music, but only a few that have adeptly conquered the various areas of expertise necessary to be considered a consummate artist. Paul Peterson is such an artist. Peterson is the youngest son of a musical dynasty lovingly referred to as Minnesota's First Family of Music, based in Minneapolis, MN. Family matriarch and mother, the late Jeanne Peterson, an accomplished pianist and recording artist herself, raised her children with a keen eye to the future. Encouraging an ever-present musical ability in her children including Paul's siblings Billy, Linda, Patty and Ricky, Jeanne perhaps never imagined what her talented offspring, especially her youngest son Paul, would one day accomplish in the field of music. Peterson was discovered at the young age of seventeen by the legendary artist Prince, and was designated to appear in his 1984 Academy Award Winning film Purple Rain as the new keyboard player in the chart topping R&B group The Time. Peterson's foray into the big leagues was under way at a rapid pace. He shortly thereafter contributed his keyboard prowess to the groups platinum album Ice Cream Castles (#24 pop), and the infectious single Jungle Love (#6 R&B/20 pop). In 1990, Peterson released his second eagerly awaited solo CD, Down To The Wire on Atlantic Records. The first single, Stranger To Love, charted in the US pop top 40, while it's follow up Every Heart Needs A Home sold over two million copies as part of the film soundtrack to the box office hit Teenage Mutant Ninja Turtles. 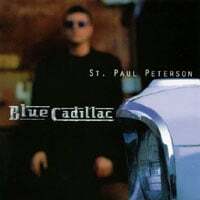 More recent releases consist of 1996's Blue Cadillac, a personal project created to satiate his many international fans, and a fiery live recording as a member of the funky Minneapolis All-Stars (other members including brother Ricky Peterson on Keyboards and Bonnie Raitt's brother, the late Steve Raitt on vocals) release Live At The Quest (1998 Go Jazz Records). Though, as evidenced, Peterson is indeed a prestigious recording artist, but he has also been renown as a thrilling live performer complementing a richly diverse list of talented artists he has performed with. This impressive and ever-growing list includes Stevie Wonder, Steve Miller, Peter Frampton, Boz Scaggs, Lionel Richie, Reba McIntire, Kenny Loggins, The Beach Boys, Little Richard, Boy George, Kenny Loggins, Robert Palmer, David Sanborn and Dolly Parton to name but a few. With his musical skills and contributions firmly established, Peterson has been and continues to be in high demand as a studio musician lending his musical chops to yet another impressive list of artists and their varied recording projects, a partial list including Jonny Lang, The Corrs, The Spice Girls, Neneh Cherry, Shannon Curfmann, Tuck & Patty, Anita Baker, Paula Abdul, Prince, Tevin Campbell, Sergio Mendes, David Sanborn, and George Benson and Brian Culbertson. Continuing to make his mark as an international renown songwriter Peterson has recently penned wonderful material for recording artists BB Mak (Unpredictable, Next Time - platinum), Youngstown (Sugar first single) and Aussie Youth (Stay A While first single) and he continues to write material with a host of accomplished songwriters including Oliver Leiber (Opposites Attract, Forever Your Girl - Paula Abdul), Jon Lind (Save The Best For Last- Vanessa Williams, Boogie Wonderland - Earth Wind & Fire, Crazy For You- Madonna), Bunny Hull (New Attitude - Patti Labelle, Breakdance - Irene Cara), Richard Page (Broken Wings- Mr. Mister, I'll Remember - Madonna) and country music star Bryan White (Leann Rimes, Sawyer Brown). Firmly proving himself behind the scenes, as a considerable force to be reckoned with, Peterson's production and performing talents continue to impress throughout films, television and CD-ROM media. His most notable credits include A Goofy Movie, Girl 6, Hoop Dreams, ESPN Boxing, Melrose Place, The Mayo Clinic Medical Guide (CD-ROM), the award winning documentary Vietnam-Long Time Coming, and most recently HBO's series America Undercover, and Bob Costas' new sports talk show, the theme song for KSTP's Sports Wrap and a recent role playing on and producing a track for the new Oleta Adam's CD. Obviously a man on a mission, Peterson continues to embrace new musical challenges and is always searching for new ways to express his explosive creativity. He has in fact throughout his acclaimed career, expertly demonstrated himself to be a consummate artist-, studio musician, live performer, multi-instrumentalist (bass, keyboards, drums, guitar and vocals), songwriter, arranger, producer and musical director, with many more musical horizons ahead of him to explore. During his increasingly limited, but much needed free time, Peterson regenerates by settling into his home in Minnesota and finding the much needed love and support from his family, the ever-expansive Peterson clan, and most importantly from his wife Julie and his two children. I luckly found out you've been still jam'n and i bought "Paul Everything" nice and "Blue Cadillac" awesome !! Paul keep up the good work my brother and again i'm look'n for the cd "St.Paul"
Keep on jam'n and take care that come's from a old school fan. This CD is GREAT! It is great funk/R&B with enough Pop influence to keep you coming back over and over again. This could (and should) have been distributed by a major label so more people would hear it, but the labels obvisouly have no clue. It is amazingly well produced with catchy hooks throughout. The musicianship of St. Paul is awesome. What a player/writer. It's an exciting collection of songs with great grooves, funk and everything else. I can't say enough. Between this CD and "Down to the Wire", he has repeatedly shown that he can match his purple mentor in writing (and producing) a good funky R&B pop album.